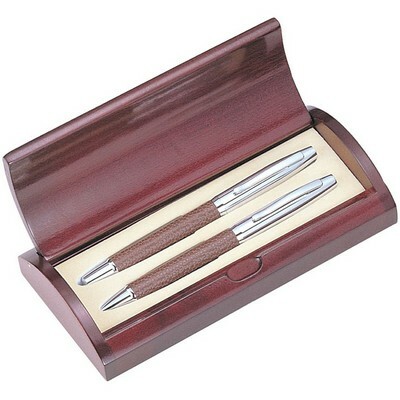 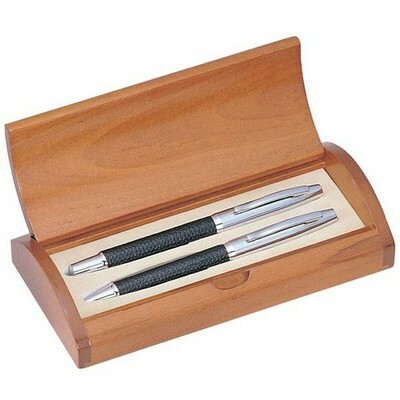 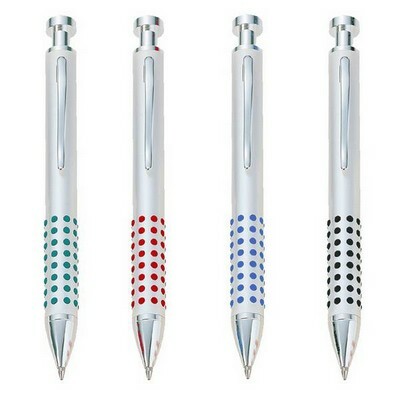 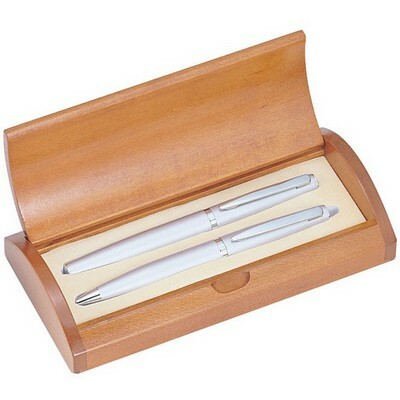 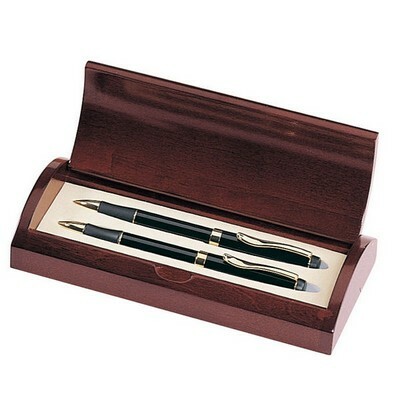 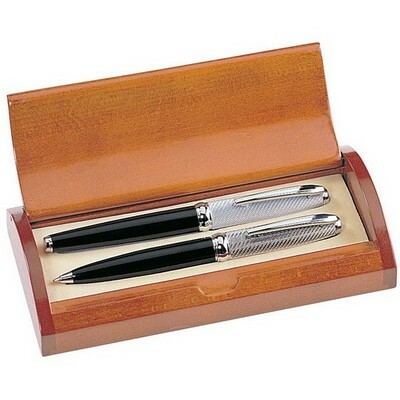 An elegant pen set is a wonderful, practical gift will be used and truly appreciated by any recipient. 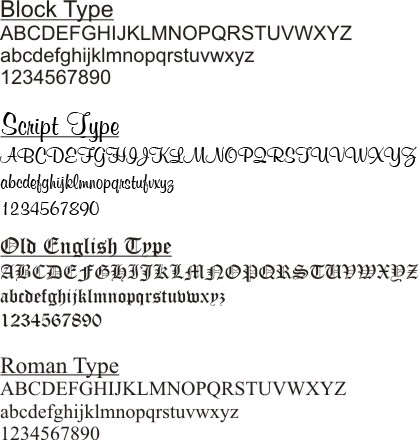 Stunning and streamlined, the brass barrels of this sophisticated set actually shimmer. 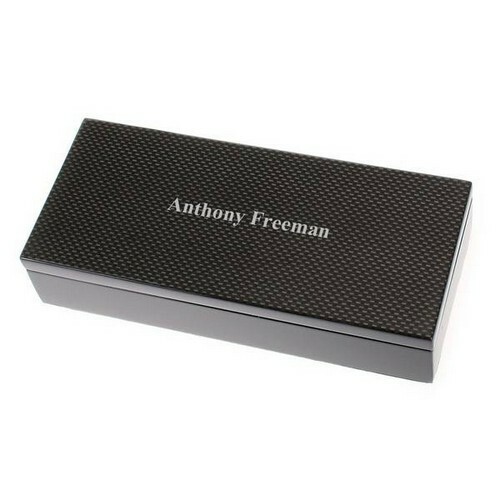 The cross-hatch diamond design made to look like carbon fiber lends a distinctively elegant touch while the rounded edges and chrome accents provide the perfect finishing touches. 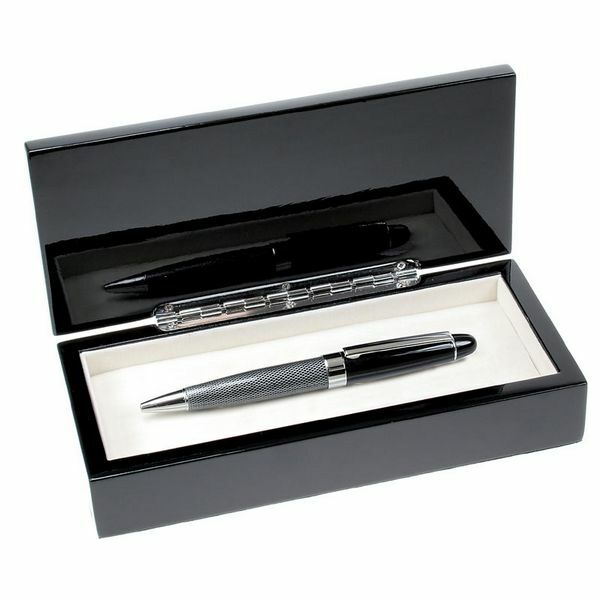 Ball point pen comes in a sleek carbon fiber-like finish presentation box. 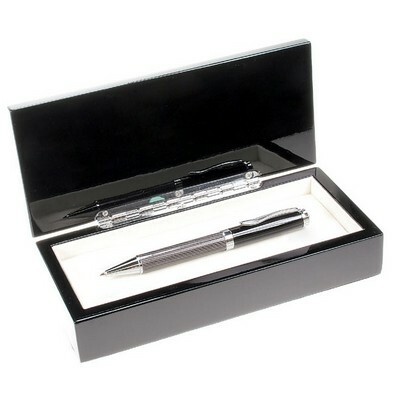 Personalize the pen or box with their name or initials! 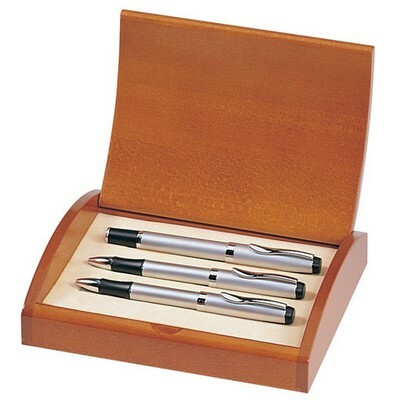 Pen box measures 8 x 3 x 1-5/8 inches. 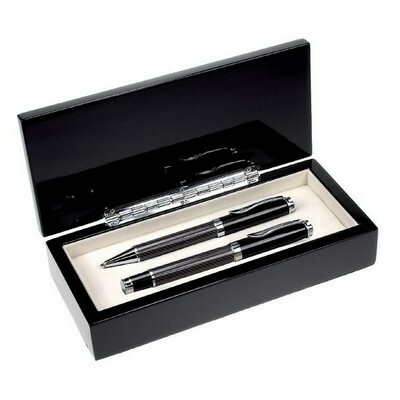 Personalize the pen, the box or both. 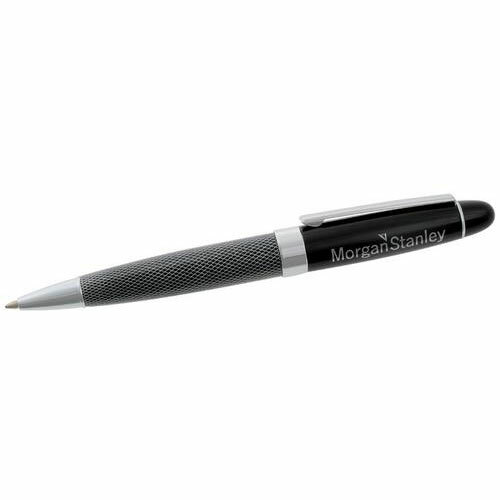 You can earn 74 MG Rewards Points on this product! 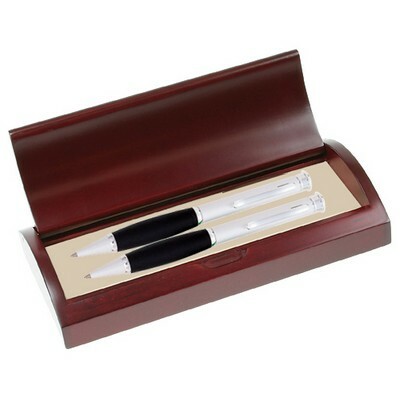 Comments: Gorgeous pen set that looks very elegant and expensive . Recipient loved this gift !